The FDA has released Form 483 in their investigation of the Vulto Creamery raw cheese Listeria monocytogenes outbreak. That form is used when problems are found at a food facility. The creamery was inspected by government officials from 2/28/2017 – 3/22/2017. In all, Form 483 states that there were 15 observations where an issue was found during the FDA inspections. In the CDC’s investigation of that multistate listeriosis outbreak, there were six people sickened by products made at that creamery. All of those six people were hospitalized. Two people from Connecticut and Vermont died, and one illness was reported in a newborn. 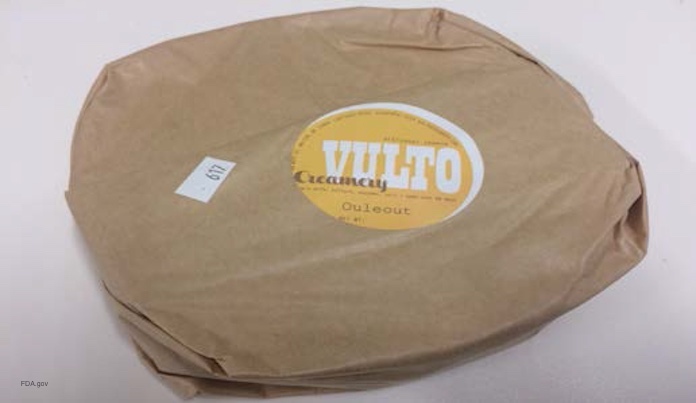 The outbreak strain of Listeria monocytogenes bacteria was found in samples taken from three intact wheels of Ouleout cheese collected from Vulto Creamery. All raw milk cheeses were recalled by Vulto on March 11, 2017. The FDA’s review of environmental sampling showed that during 20 months from 7/28/2014 through 2/9/2017, there were 54 out of 198 results positive for Listeria species taken from various locations in the facility, including the floor drains in the manufacturing room, wash room, and cheese aging room; the outside of brine tanks in the walk-in cooler, door handles to the cheese aging room, walk-in cooler and entry door; various areas of the floor in the cheese aging room; bottom of a squeegee in the cheese aging room; employee aprons; and wooden cheese rack dollies in the cheese aging room. 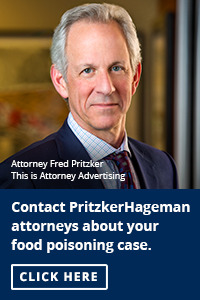 But the facility did not conduct an investigation to identify the species of Listeria monocytogenes, and the owner did not identify its source or point of entry. FDA inspectors point out that 10 of the 54 positive Listeria results were found on food contact surfaces between 10/30/2014 and 4/28/2015. There was no microbial testing of finished products to confirm that they were not contaminated. The contaminated food contact surfaces included: wooden cheese aging board in the cheese aging room; the cheese brush used to brush Ouleout and Miranda soft cheeses; two cheese brushes used to brush the Andes and Walton Umber hard cheeses. Those utensils all tested positive in 2014 and 2015, but the owner did not continue sampling food contact surfaces after 4/28/2015 to see if those surfaces were a contamination risk. After the owner found a positive Listeria test on a surface, it was re-cleaned and the area was re-sanitized, but the location was not swabbed again until a month later, after more cheese was produced. In addition, the procedure for cleaning and sanitizing equipment was not adequate. When a swab showed Listeria, they re-cleaned and re-sanitized affected areas, but when those areas were re-sampled and another positive test resulted, the owner did not investigate the use of a more effective sanitizing method. Cleaned and sanitized portable equipment was not stored in a location and manner that protected them from contamination. Cleaned and sanitized wooden boards were stored in the attic, where there was debris and exposed insulation. The FDA also noted that the design and materials of equipment didn’t allow proper cleaning, the plant is not constructed to prevent drip and condensate from contaminating food, employees did not sanitize their hands thoroughly, physical facilities were not in good repair, with rust-like substances and black and green mold-like substances, fans were not kept in good repair. And there was no automatic temperature alarm system for each freezer and cold storage compartment, the building was not maintained in a sanitary condition, measures were not taken to exclude pests from the processing areas, plumbing was a source of contamination, and the owner did not submit a reportable food report to FDA within 24 hours after he determined a food was a reportable food. If you ate raw milk cheese from Vulto Creamery in Walton, New York and have experienced the symptoms of listeriosis, see your doctor. Those symptoms can be similar to the flu, or they can include severe headache, fever, neck stiffness, nausea, abdominal pain, and diarrhea. 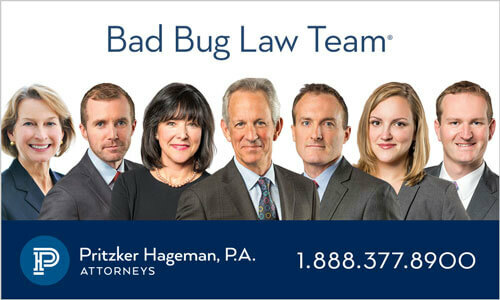 If you or a loved one ate Vulto Creamery raw milk cheeses and have been diagnosed with a infection, call our experienced attorneys at 1-888-377-8900 for help. Thank you! It was a treat to read Form 483 from the FDA. It is SO UNBELIEVABLE that this owner / facility did not understand or care to understand the (+) lab tests and the need to properly sanitize.